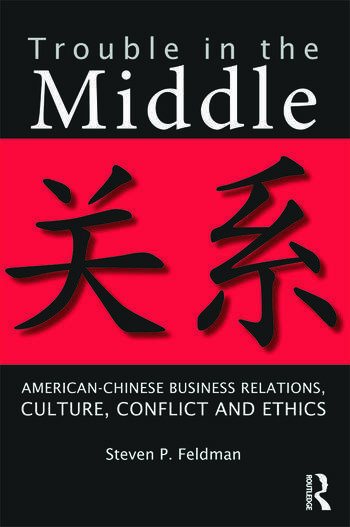 This book will help readers better understand the ethical and cultural assumptions that both American and Chinese business cultures bring to business relationships in China. It analyzes the relationships developed between the two cultures, areas where they conflict, and how these conflicts are (or are not) resolved. compares these two business cultures as they are experienced in China to investigate the relationships between them, centering the cultural analysis on ethical issues. Feldman's thorough research gets to the crux of how American and Chinese executives perceive the ethical and cultural aspects of doing business. The result is a book that will prove helpful to all those looking to expertly navigate Chinese-American business relationships. Steven P. Feldman is professor of business ethics at Case Western Reserve University, Cleveland, Ohio. He was Fulbright Distinguished Lecturer in business ethics at Shanghai International Studies University in Shanghai, China. His Ph.D is from the Wharton School of Business, University of Pennsylvania. He has held visiting positions at Oxford University, University of Innsbruck, and the University of Minnesota. He has lectured broadly in China on business ethics issues. His previously published books are Memory as a Moral Decision and The Culture of Monopoly Management. He has published extensively in management journals on ethical and cultural issues. Steve specializes in American-Chinese business relations, business ethics, and nonprofit management.